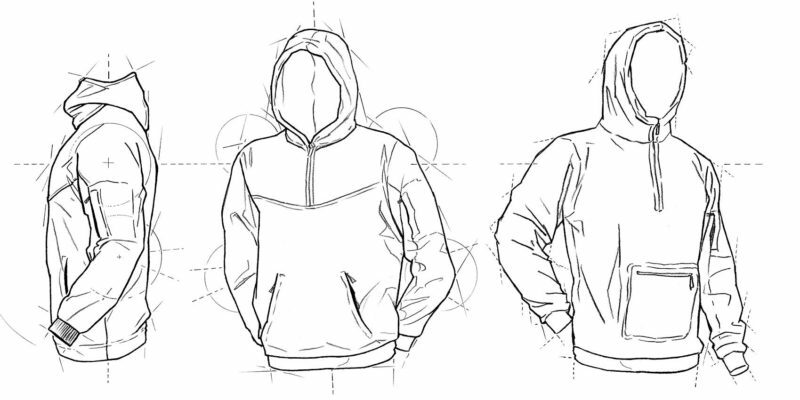 These are very preliminary sketches showing the Purnell Hoodie in various body positions. As mentioned in the final, color version, Purnell has its roots in wind energy and developed this hoodie specifically for wind turbine tower maintenance folks. Pencil.